What is Working With Rails? Working With Rails is an open database that allows anyone to add or remove information about an individual involved within the Ruby On Rails community. The site’s main features include: the ability to find popular members of the Rails community, as well as their followers; the ability to locate skilled developers in a specific geographic area; the opportunity to keep up to date with the current activity of top developers; and the ability to find a developer by using his/her nickname or handle. Working With Rails spawned out of the original Working With Rails wiki page, which offered insight into the developers working in the Rails community. Working With Rails expands on this original concept by incorporating a tool for finding and locating developers, gauging trends and discovering who occupies specific spheres of influence. Why recruit using Working With Rails? There are a little over 34,000 skilled developers who are members of the Working With Rails community. Better still, these developers are located all around the globe. So, whether you are searching for a Ruby On Rails professional in London, or one in Seattle, you’ve come to the right place. And, not only does Working With Rails have a list of tens of thousands of Rails developers, it also has a list of thousands of companies that use Rails, or offer Rails-related products and services, which means you can also identify Rails experts according to the company he/she works for. How is it professionally relevant? What is the core activity that goes on there? The members of the Working With Rails community engage in three key activities. They create and maintain their own personal profiles, they engage in discussion forums, and they search for other developers using names, geographical locations and companies. How is the core activity structured? There are six tabs at the top right of the Working With Rails homepage, and each of these tabs will navigate users to a different core activity on the site. There are also two shortcut tabs that will take you directly to the Working With Rails Job Board or to the Working With Rails Discussion Forums. How do I use Working With Rails to discover candidates? Searching for candidates on Working With Rails is straightforward and easy. You can search for people by name or by country—the latter of which comes in very handy if you are a recruiter. 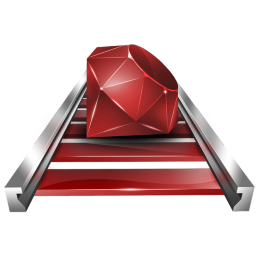 Let’s say you want to find a Ruby On Rails developer in Paris. You simply need to navigate to the “People” tab and then click on “Country” to begin your search. Clicking on “France” will take you to a list of the 379 Working With Rails community members located in that region. You can then click through to those members who specifically list Paris, France as their location. An alternative to conducting an on-site search on Working With Rails is to go straight to Google instead. Typing “site:http://www.workingwithrails.com/people” into the Google search bar will bring up all of the 34,200 developer profiles that exist on Working With Rails. Looking for a Ruby On Rails developer in a specific city, state or country? No problem. You can also use Google to narrow your search and pull up geographical data from the Working With Rails site. For example, typing “site:workingwithrails.com/people portland” into the Google search bar will yield links to all of the Working With Rails member profiles that include Portland as a location. On the Working With Rails site, you can conduct a search for a specific individual by clicking on the “People” tab and then typing in the name of the person you want to find. This is an easy way to look up someone you’ve already earmarked as a potential candidate, and whose profile you’d like to review again. Let’s use a developer named Mac Martine as an example. If you click on search by name and then type Mac Martine’s name into the search bar, it will bring up his profile page, which includes basic information such as his company, location and e-mail address. In addition, the new TalentBin plug-in will also pull up key data about Mac, including his company, job title, geographic location and his professional skills and interests. The plug-in also includes button links to Mac’s various social media accounts. Mac Martine’s Working With Rails profile page displays his e-mail address, the URL for his personal website, his employment status, his current company and his geographic location. If you scroll down the page, you’ll find even more information, including Mac’s specific Ruby On Rails professional experience and links to his external personal and social media sites, such as his Twitter, Github and Flickr accounts. This makes it easy to click through to his other sites to conduct further research and find out additional information about Mac Martine and his professional capabilities. How do I cross-correlate to other candidates? Now, you’ve found an additional eight profiles that could lead you to more potential candidates. How do I execute outreach? Since every Working With Rails profile includes an e-mail address, it is easy to get in touch with an individual once you’ve identified him or her as a qualified candidate. You can e-mail the candidate directly and let him/her know that you’ve reviewed his/her Ruby On Rails profile, as well as his/her other personal sites and social media profiles—all of which have led you to believe that he/she possesses the precise Rails skills and professional experience you are seeking. What have I learned, and why do I care? So, you now know that Working With Rails is a niche website designed specifically for people who work with Ruby On Rails, or, at the very least, are extremely interested in it. You’ve also learned that you can search for developers on the site by name, company or location, and that you can study their individual profiles to determine their exact Ruby On Rails experience and gain access to their external personal sites and social media profiles. And, finally, you’ve also learned that you can use Working With Rails to obtain the e-mail addresses of individuals you identify as potential candidates. In sum, if you are seeking developers who specialize in Ruby On Rails, Working With Rails is the first place to begin your search.